It wasn’t my first case. I already had a reputation in town, as they say. You know how it is: in the small towns of the state of Minas, everyone knows each other; we’re all kind of related. Those were difficult times. Inflation was so high that a piece of gum you bought in the morning would cost more in the afternoon. Sheer insanity. I must have been around fourteen years old and went to the best school in town. Not that it made much of a difference, as you can see. Parents always believe their child’s education is the most important thing, right? But the graffiti-covered walls and battered desks told a different story. The only people who seemed genuinely happy were our teachers. Maybe because, as government employees, they had job safety. Well, in those days, I used a corner of the school’s library as my private office. It wasn’t the fanciest office in the world. It wasn’t technically an “office,” neither was it “mine,” but it’s what I had. It made me happy anyway, despite the smell of mildew. Since practically nobody would go there, it was the perfect place to focus on what mattered: fixing my clients’ lives. At first, people laughed at me and called me an idiot who believed anybody would take him seriously as a “detective.” “What could a kid your age possibly find?” All it took, though, was finding one math test that went missing, through which I saved the principal’s daughter. It was actually a pretty simple case: the teacher asked the girl to go fetch the tests at the teacher’s lounge. When she came back with the pack open and one sheet missing, everyone accused her of taking a peek. That was information that could be sold or, more importantly, guarantee a good grade! She was lucky I got involved. It only took half an hour: someone had left the sheet on the mimeograph and, although the teacher swears it wasn’t her, I doubt it. It may seem silly to you, but it was what gave my career a much-needed push. From that day on, I always had something to do: from missing backpacks to anonymous notes. The latter were my favorite. Everyone is morbidly curious about the lives of others, right? There was a new girl in school. Hannah. Unfortunately, she wasn’t in my class. Of course I investigated her life... I couldn’t help myself. She was the prize all my friends wanted: blond, curly, waist-length hair, huge green eyes, long, athletic legs and a mouth... not that yours isn’t also great, but hers was just perfect. It was the kind of mouth that could cast a spell on any man. Or boy. I managed to get some info on her family: they were from the city of Belo Horizonte, her father was a writer, and the church busybodies claimed he’d been excommunicated. That’s just gossip, I thought. She had a weird accent. Her mother had suffered a nervous breakdown that had left her speechless, on a wheelchair, and this is why they moved to a quieter city: her father wanted time to care for his wife. At least that’s what it looked like. Hannah was reserved, but I knew she wasn’t shy at all. She drove us crazy with those come-hither eyes that seemed to see straight into our souls when she looked at us. It was scary but, at the same time, irresistible. On a July night, two days after she had arrived at our school, she came to see me. Several students were getting ready for a costume party the next day, right before school vacation. Even when things aren’t going well, people find a reason to party. People really like burying their heads in the sand, don’t they? It was an excuse to wear my gumshoe costume to the office: a gray trench coat and a counterfeit Borsalino fedora. I liked it; it made me feel like Sam Spade. It was cold, about to rain, and a thin, white fog hovered over the schoolyard. I decided to put on my coat and hat to warm up a bit. Hannah almost scared me to death when she silently walked in. Not many people could take me by surprise. She earned my respect with that. She wore a long, strapless dress with a nametag that said “Gilda.” I had no idea who that Gilda was, nor did I care. What a voice! Who could resist the call of that curly-haired siren? We walked across the schoolyard and the fog was so thick I could barely see. She turned back for a second, looked over her shoulder, and took me by the hand to the girl’s bathroom. I just stood there, stunned, like a dork. Not that I hadn’t been inside... tools of the trade, you know? But going in there with her... that was something else. “Aren’t you coming?” she called from inside and the echo from the empty bathroom made her voice sound spooky. I didn’t believe in those things, so... I went in. A boy’s mind can be an amazing contraption, when it wants. She and I, alone in the girl’s bathroom at night... anything could happen. I still didn’t really know what “anything” entailed, but whatever it was, it could only be good. Hannah stood there, facing the door, leaning against a full-length mirror that reflected her whole body. Girls like these things, don’t they? I watched her under the weak, incandescent light. Her silky hair spilled around her shoulders and over her crossed arms. She stared at me with an ambiguous, haughty look. She beckoned with a finger. I went to her, of course. But before I could touch her, the door closed with a bang. I whipped around, startled: Debora, a voluptuous redhead who’d been held back at eighth grade and was in the homeroom next to mine, stared at us both, astonished. Debora was one of these bitter people who always see the worst in everyone else. I’m not a psychologist, but I think it says a lot about her. I was perplexed, but Debora screamed and ran out. I looked at Hannah, puzzled. Slowly, she erased her name from the mirror. I couldn’t believe it. Someone was obviously pulling a prank on Hannah and, apparently, Debora was in on that bizarre story. I’d already seen her jealously stare daggers at Hannah when they walked past each other. I told my theory to Hannah, and for a brief instant, her perfect lips formed a smile. The perfect lips were right. Debora wasn’t known for her circumspection. She walked past me, still with that enigmatic smile. I explained that this wasn’t how things worked. I’d have to take the case, first. Besides, I didn’t work for free. It seemed I had taken the case. I went back to the office just to drop off the coat and hat, but I decided to lock the door and go home instead. The fog was thicker and formed small water drops on my coat. I walked slowly, reflecting on the case. It didn’t seem hard: Hannah was beautiful and an easy mark for the wrath of other girls. Clearly, one of them had written her name on the mirror, maybe to frighten her. Stuff out of campfire stories. Urban legends to scare someone who didn’t fit it in, I figured. Maybe it was Debora, or one of her friends. Simple cases were solved through simple plans. If scaring Hannah were what they wanted, I’d give them a taste of their own medicine. The next night, at the costume party, seemed like the perfect opportunity. Just perfect. That afternoon, I left home long before the party was to start. I always walked to school; it took about twenty minutes. On my trench coat’s inner pocket I carried a gadget that would help me solve the case. There was a hint of a scoffing smile on the corner of my lips every time I pictured the girl’s reaction to my ploy. Or girls... maybe there was more than one. It didn’t matter. They’d never bother Hannah again, as long as they lived. Or anyone else, for that matter. I confined myself to the office, waiting for nightfall. A barely working ceiling fan and the librarian’s cigarette made the room stifling and muggy, but all I could think of was my plan. Nothing else mattered. The hours trickled by. At last, the librarian left without a word, and I was free to put my scheme in motion. I left the light on and locked the library door from the outside, so it would seem like there was still someone there. An alibi, if anything went wrong. I touched my pocket to check if my gadget was still there and walked toward the girls’ bathroom. The schoolyard was crowded with people getting last-minute decorations up, but a thick fog had descended already and I carefully skulked around the corners. Nobody noticed me. Stealth was my middle name. I stopped next to the girls’ bathroom door and kneeled, as if tying my shoelace. Two bubbly sixth-graders got out, dressed as what looked like Betty Boop or some other coquette. They held a large cup, filled with red liquid: a Bloody Mary. I’ll admit they diverted my attention for a few moments, but the client always comes first. I sneaked in, locked myself in the first stall and removed from my pocket a small round mirror attached to a periscope. I had no idea where it had come from, but I’d used it in other occasions that don’t need to be explained now. With it, from under the stall’s door, I could see what was going on outside, where the mirrors were. Getting a look at the girls’ legs was just a bonus. As you might have guessed, I meant to scare the living daylights out of whoever had written Hannah’s name on that mirror. I thought of donning a wig to complete the Bloody Mary impression and frighten them to death, but I worried they’d might actually die of shock. The ambush would be enough. I was sure she, or they, would never again find that game amusing. It didn’t take long for someone to come in: a beautiful brunette from my homeroom. Christiane, I think. She was dressed as a fifties’ dancer. Total babe, I have to say. Unfortunately, all she did was apply red lipstick (excessively, I thought) and leave. All through the night, several girls walked in and out of that bathroom. I closely watched them all, most of them for purely professional reasons. Until Debora came in. I watched her like a hawk, as she stood in front of the mirror. She looked nothing like the scared girl who had run away the day before, but she didn’t glance at the mirror on which Hannah’s name had been written. She wore a bunny costume and her fluffy tail shook to the rhythm of an imaginary song as she touched up her makeup. That hiding spot could be torture sometimes, I have to admit. When she retrieved a tube of black lipstick from her clutch, I almost gave myself away. I cracked the stall door open, ready to pounce. Debora pouted and applied the lipstick. I watched her carefully, but as soon as she was done, she winked at her reflection and left. Damn! She had been my best bet! The influx of girls was slowly trickling down and around midnight, nobody had come in for quite a while. I figured the party was over, as no noise or music seemed to be coming from the yard anymore. It was time to admit defeat and think of a better plan. I was leaving the stall when the bathroom door creaked. I ran back to my hiding spot, more concerned about being caught than with my plan. It was Hannah, to my surprise. She was still wearing the black strapless dress, now accessorized with elbow gloves. She looked taller, as she wore black sandals with what seemed like a four-inch heel. It was the most incredible costume I’d ever seen. She removed a small black lipstick tube from her clutch and applied it on her lips. I watched that disturbing scene, frozen in place. There was something devilish about Hannah that was incredibly attractive to me. I lost my temper and burst out of the stall, aggravated. I wanted an explanation. I deserved an explanation! What was going on? Why make a fool of me? Was it some stupid bet? Were the kids of homeroom C pulling a prank on me? She didn’t even give me time to yell, ask questions, breathe, nothing. She just drew me against her body and kissed me. It wasn’t just a kiss. It really wasn’t! It was the sweetest, most intoxicating experience of my life. My head, the bathroom, the world... everything was spinning, as I stood in the center, paralyzed, trying to enjoy every second of what was happening. She slowly pushed me against the mirror, pressing her body against mine. I was breathless, sweating and, honestly, couldn’t really believe that was happening. I held her back by the shoulders, trying to take a breath, to understand what was going on. Hannah looked at me and sneered, as if asking if I wanted her to stop. That was the last thing I wanted. I begged her not to stop. With her two hands on my chest, she shoved me backward. I thought the glass would shatter against my back, and braced myself for the pain... when everything went dark. Dark and silent. Scared and confused, I floated around the freezing, endless darkness, broken only by distant dots of light. I could see Hannah on the other side of the mirror, facing me with a wry, triumphant smile and erasing her name. I tried moving to the surface, but I didn’t yet know how. I thrashed around in despair, tears of anger and agony running down my face. I tried to scream, but I couldn’t hear my own voice. When she erased the last “H,” she leaned on the frame, now looking weary. Weary and relieved. “I had to do it. It’s an opportunity that only comes up once every thirty years, and I couldn’t waste it. You’ll understand. I was still a girl and went to school in Estaing, in France, when it happened to me. I still look like a child, don’t I? There’s a silver lining: time doesn’t go by for anyone who’s on that side. My friends told me they’d seen Bloody Mary, but I thought that was silly. The new girl in school, Anna, had become my friend and invited me to go check on Mary. I thought it was funny, so I followed her. But then she wrote the name on the mirror, shoved me in... and explained everything to me, as I’ll explain to you. She left me there, in that dark ocean, starred with what I now knew were mirrors. Mirrors from all over the world. For thirty years I waited. I’ve seen unimaginable things. In my moments of anger and despair, I scared little boys. I learned how to move around this cold darkness. I uselessly punched several mirrors, until I found you. I’m sorry, I don’t understand why this is happening, I only know I had to get out. I had to be free. And if I have to leave you here to get my freedom, Allylla, so be it. It’s your turn now. Someone has to pay; it’s the rule of the game. See you in thirty years, doll face! 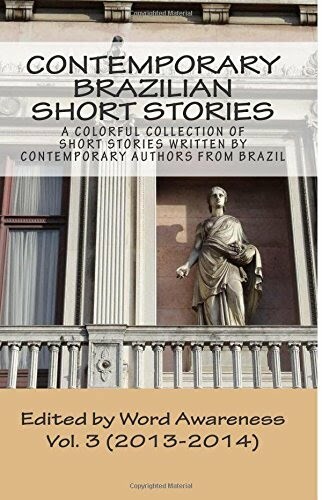 MARCELLUS PEREIRA was born in 1976 in Manhuaçu, rainforest area in the state of Minas Gerais. He realized he was fascinated by literature at an early age, when he would leaf through books about the Earth and the Moon at his grandmother’s private library. He was one of the editors and partners of what used to be the largest technology website in Portuguese, Meio Bit, where he would post articles to an audience of 750,000 readers a month. 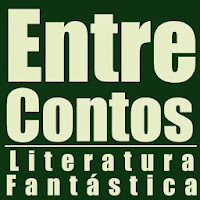 Then he found out about Entre Contos and started to dedicate himself to periodically writing about fantasy and fiction. Nowadays, despite being a late-blooming college student of Engineering, he is also writing a book about alternate history.